Connor wins USA Cycling National Champs & Joris on the Podium both days! 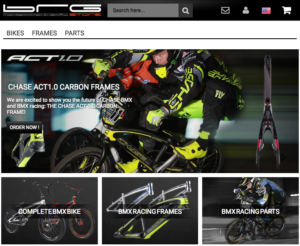 Stop 2 for the USA BMX Pro Series tour headed off to Oldsmar, Florida for one of the best tracks on the tour and the newest Supercross style track on the USA BMX Pro tour. 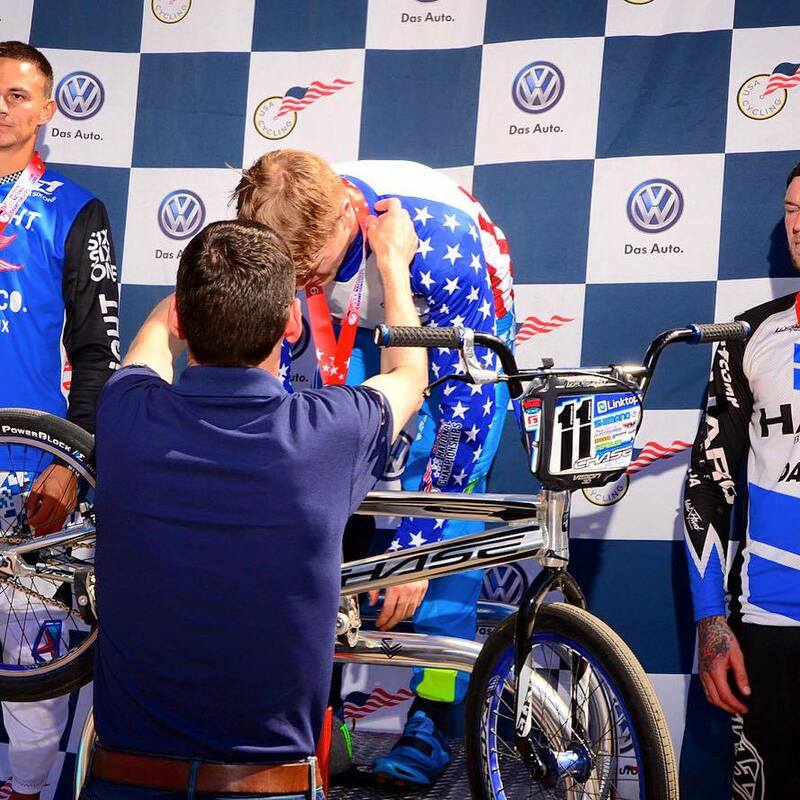 The riders would be challenged for 3 days – The first 2 for the USA BMX North American SX races and day 3 for the USA riders, as they would battle it out for the Elite National BMX Championship for 2016. 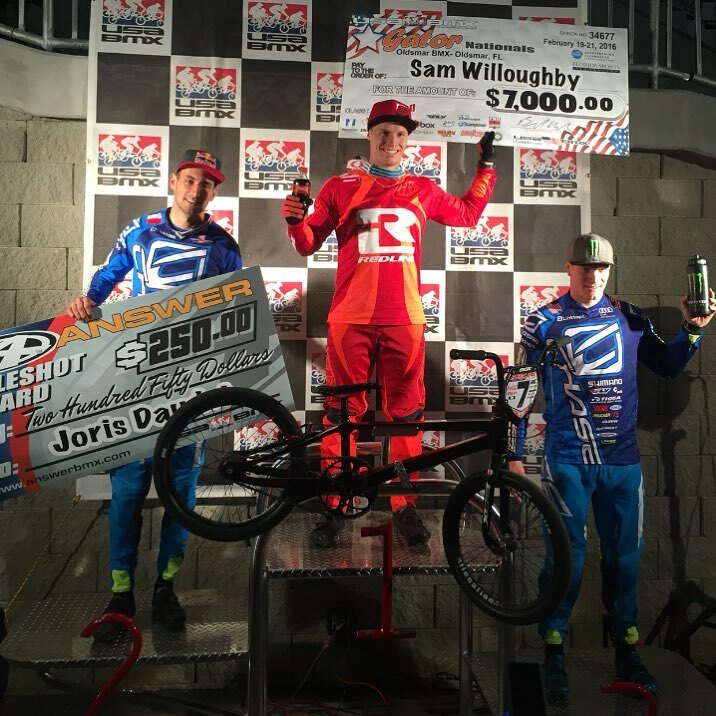 Day 1 wold be the first time the fans were able to see Connor Fields race for the 2016 season, while Joris Daudet had already showed the fans how he became the USA BMX #1 Pro in 2015, when he took the win in the Elite mens class both days in Phoenix. Oldsmar had a huge Elite men turnout, with 60 riders on track, to challenge the worlds fastest Elite riders and the SX track in Oldsmar. Both Connor and Joris rode strong all day, both making it into the main event. When the gate dropped, it was a classic battle among the 3 standout riders on the 2015 USA BMX Tour – Joris, Connor, and Sam Willoughby. Joris would grab the hole-shot, with Sam and Connor right on his rear Tioga Powerblock tire.. Connor would make a move into the first turn, Sam would hold his line, and all 3 would be side by side. Joris edged out Sam into the 3rd straightway, where one small mistake cost him dearly, and Sam would go by for the final time and ride the rest of the lap uncontested. Joris would take 2nd and Connor would wind up 3rd. Day 2, It was only Joris on track for the Factory Chase team, as Connor took the day off to focus on Sunday’s USA Cycling National Championships. Unfortunately, Joris was feeling sick, but still lined up on the gate and had a solid day, once again making it to the main event. Joris would not have the best start in the main event, but his never give up attitude was apparent during the main event. Joris rode a smart lap and make a slew of passes, and would finish up 3rd for the day, again on the podium. 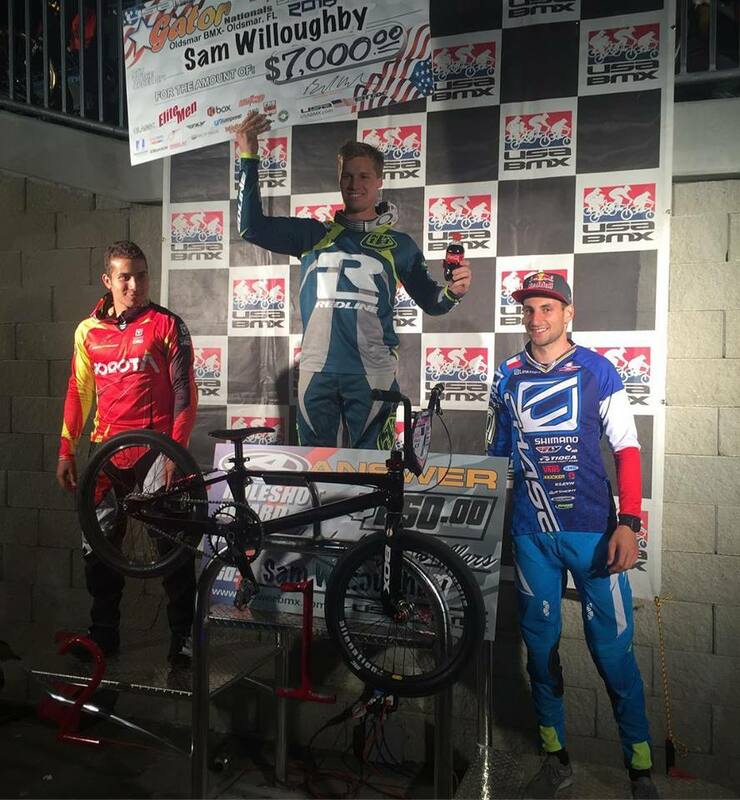 Chase supported rider Carlos Ramirez had an excellent day, with a 2nd place finish, behind day 2 winner Sam Willoughby. A strong weekend for Joris with 2 more great results. 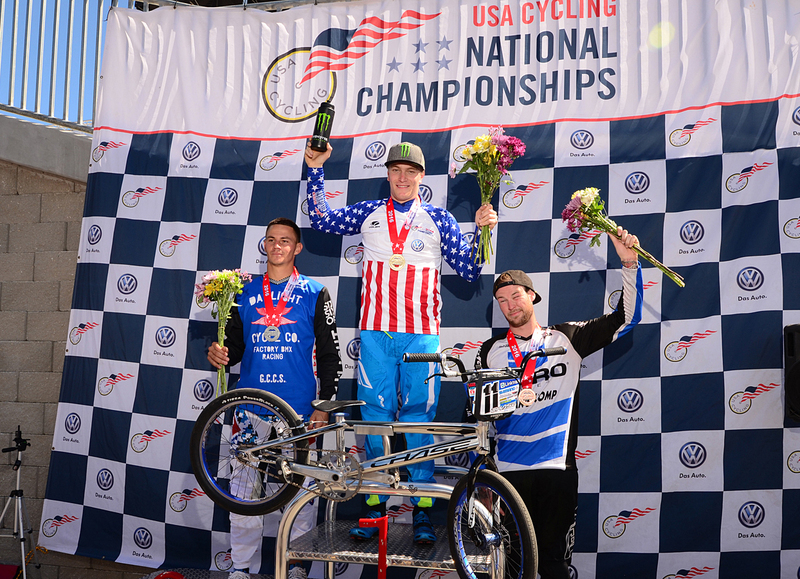 On Sunday, Connor was looking to win back the USA National Championships title he led a few seasons ago. Connor day off on Saturday looked like it paid off, as he was the winner of each and every lap on the day in the Motos and semi Final. When the main event lined up, Connor was ready to go, but his gate was off ever so slightly. Corbin Sharrah held the lead, but Connor was stalking him the entire lap and in the last turn, made the pass to take the USA Cycling 2016 Elite Men’s National Championship. Connor will now be able to wear the USA Stars and Bars sleeve on his Chase Jersey for the 2016 season! The riders now will focus on getting ready for the 1st stop of the 2016 UCI BMX Supercross World Cup tour that kicks off next month. Make sure you mark down March 24-26 on your calendar to tune into BMXlive.tv to watch all the World Cup action!